React Presents announced the full lineup for this year’s Spring Awakening Music Festival in Chicago. Spring Awakening is one of the premier electronic dance music festivals in the country. It takes place June 14-16 at Soldier Field and open to all ages. Tickets are on sale at NOW through Clubtix.com! Check out the graphic below to see who’s joining headliners Calvin Harris and Bassnectar! 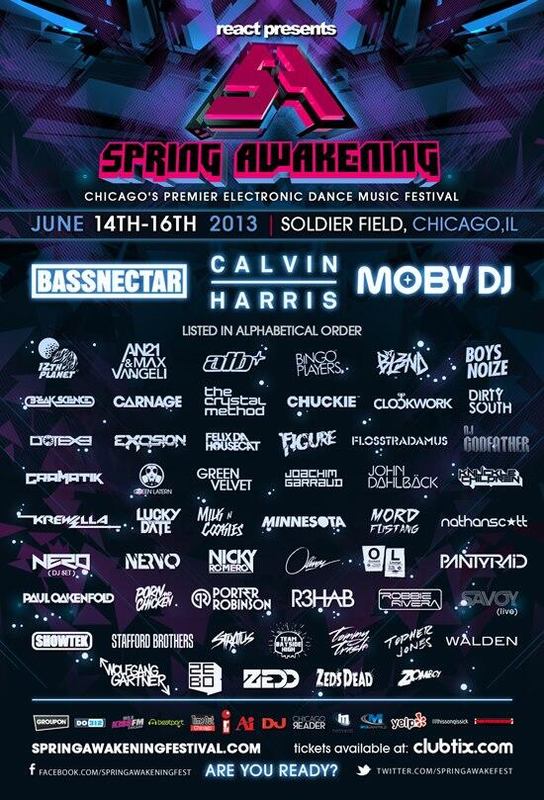 Are you going to Spring Awakening 2013?